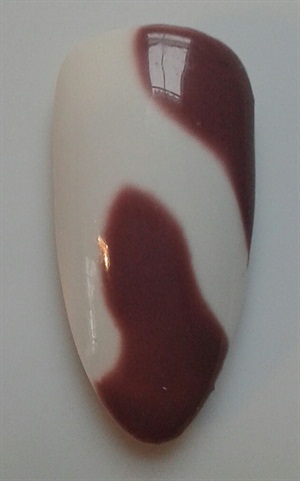 Elsbeth Schuetz of Orange, Calif., shows how to make this untraditional wedding nail art. Elsbeth Schuetz (@elsbeth211) of Orange, Calif., shows how to make this untraditional wedding nail art. 1. Use a light gel base then cure. 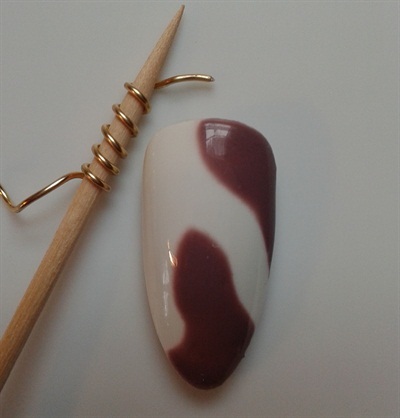 Create spots with darker gel-polish and cure. 2. Wrap jewelry wire around an orangewood stick. 3. Apply gel top coat. 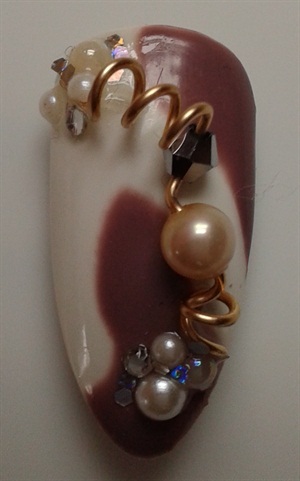 Place wire and beads in gel and cure.